Owen's commentary on Hebrews will inspire contemporary believers as they seek to uphold and defend Christianity in a pluralistic world. 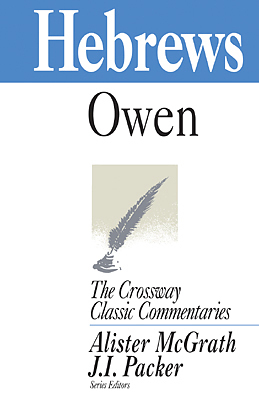 Hebrews : Crossway Classic Commentary by John Owen was published by Crossway in March 1999 and is our 33025th best seller. The ISBN for Hebrews : Crossway Classic Commentary is 9781856841849. Be the first to review Hebrews : Crossway Classic Commentary! Got a question? No problem! Just click here to ask us about Hebrews : Crossway Classic Commentary.